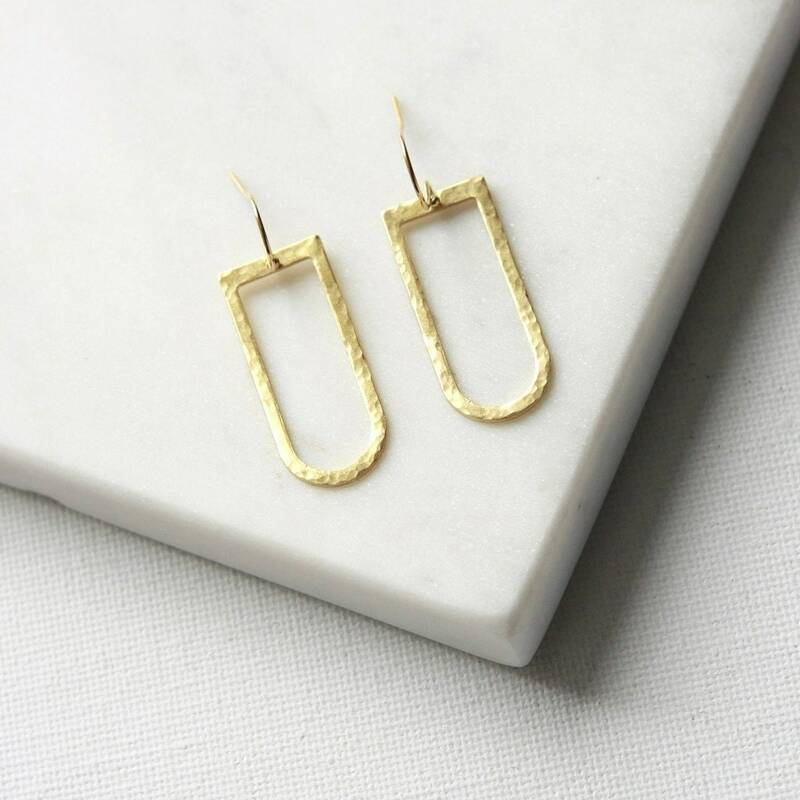 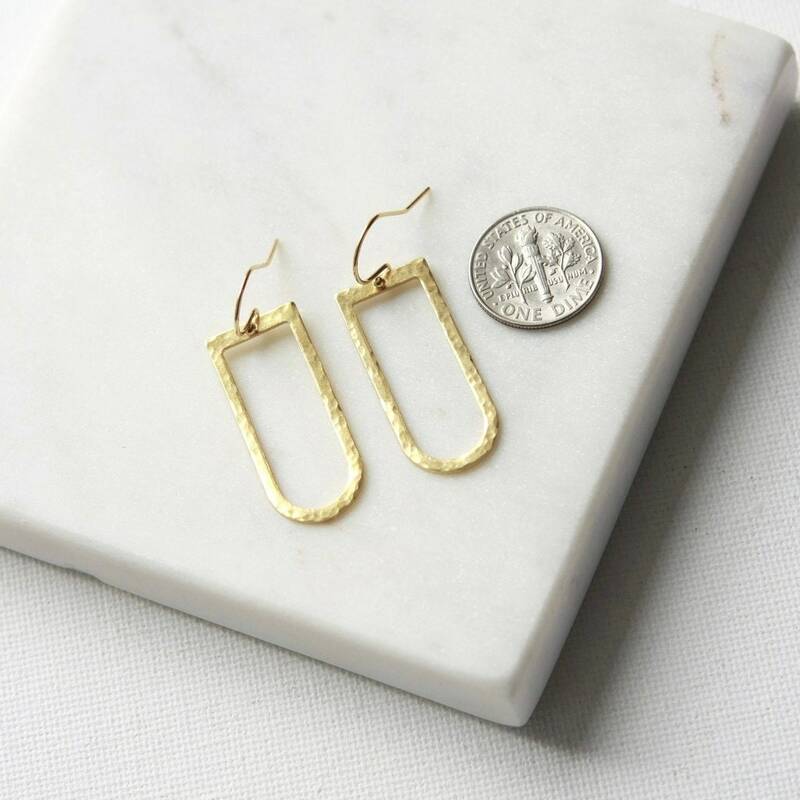 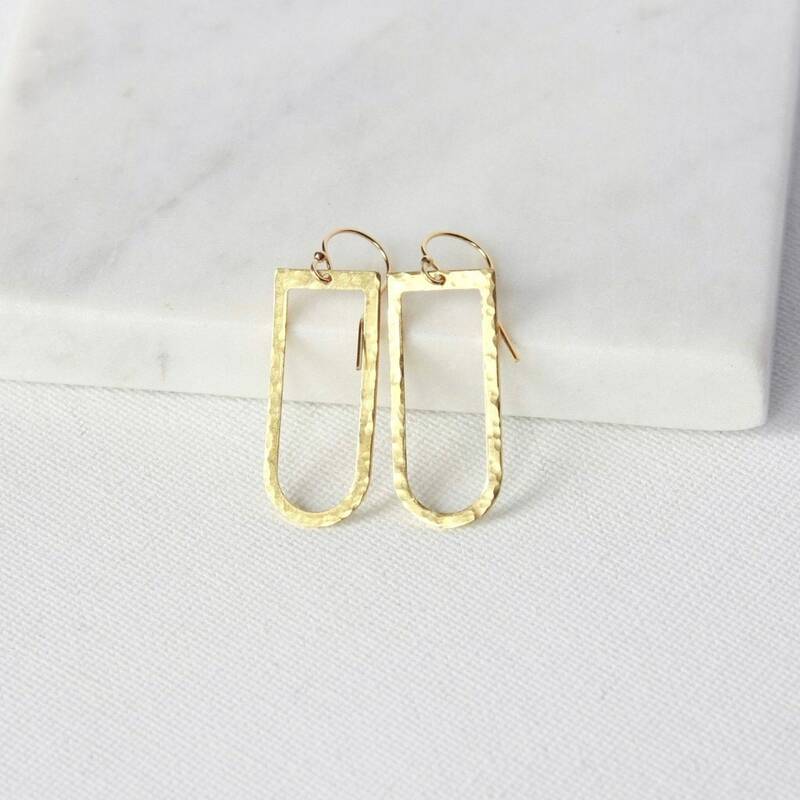 These earrings feature a modern geometric style that will complement any look! 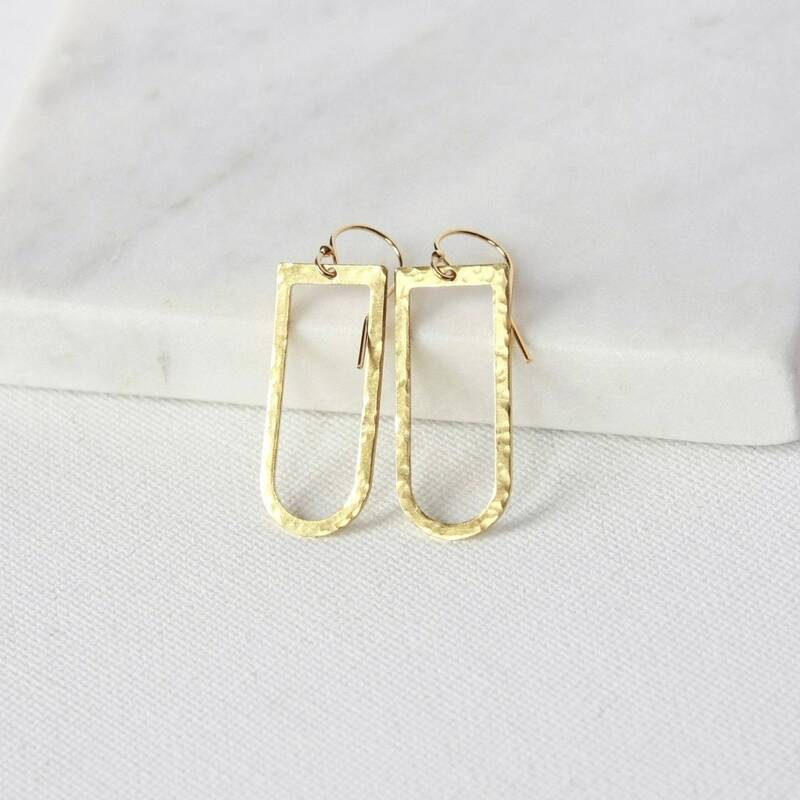 The raw brass charms are 30mm long and 13mm wide and have been hammered for a lots of shine and texture. 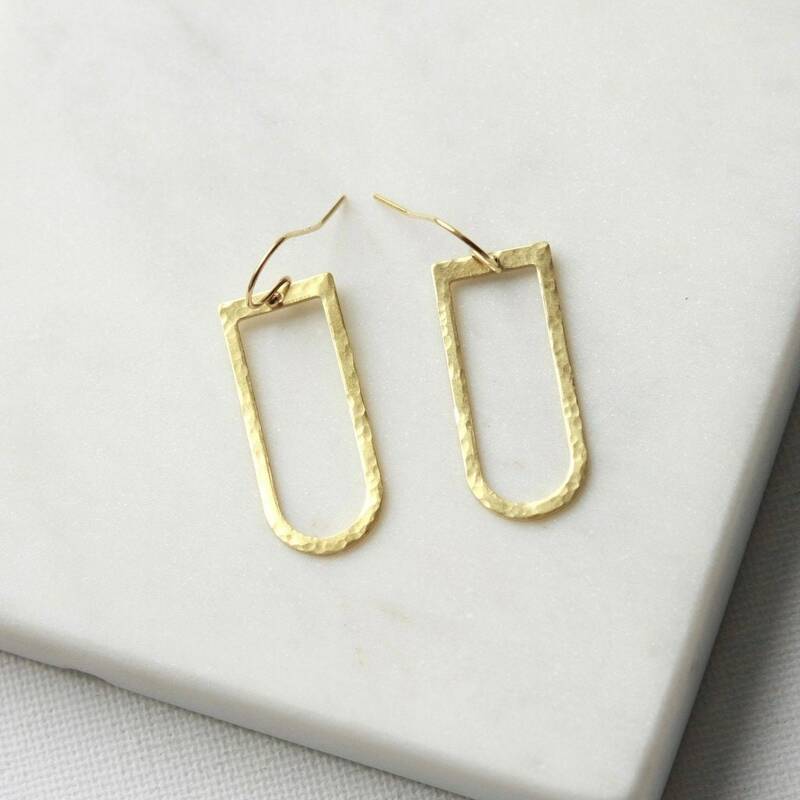 The earrings hang a little over an inch and a half from the top of the gold-filled ear hooks.